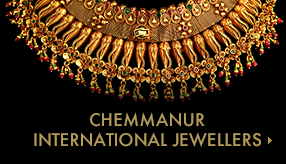 Chemmannur Group's awsome success is attributed mainly to its charismatic, redoubtable Chairman Boby Devassikutty Chemmannur who with his long fetched vision brought dynamic thrust to the organisation by bringing in variegated differential designs from all over the world and made available them to the public here. His was a symbiotic relationship with the public as both benefitted enormously. The goodwill provided by the common man fuelled him with the impetus to start branches all over india and the middle east. Like a pied piper success after success followed him. For his meritorious achievements he was awarded “Businessman of the Year award—2004”. Through innovative business opportunities meant for the customers, the group acquired the trust of the people. Any project launched by Chemmannur group has the footprint of the Chairman , his noble vision, an empathetic altruistic concern for the poor and sidelined. “If we open up a new branch, simultaneously we will be building a house for the needy and the helpless” The Group's vision is spelt out in these words. The company has spelt out clear & focussed mission. Open 100 branches throughout the world by year 2020. Mission delieneated for the company “Generate as much jobs as possible by bringing out opportunities. To quote Chairman's words--”no orphan should be walking along the street. There must be someone over there to share and give love to these wretched people living there” The company is propelled on the foudation of these words. The Chemmannur group with it's upward-diversification-plan, is advancing to South East Asian market. Malaysian branch is about to be opened up. Next in line is Singapore & Japan. Plans are afoot to bring in Lionel Messi, the Argentine 4 times “World Footballer of the Year”, a living legend to be the Brand Ambassador. In it's onward march towards diversification & expansion-- a year ago the group marched into non-banking-finance-sector by setting up Chemmannur Credits & Investments Ltd, head quartered in Trichur. Plans are afoot to open 5,000 branches nationwide by year 2020. Of the 200 branches proposed for Kerala,in that 12 are already on the functional list.